Mike Del Checcolo is vice president of Engineering and chief engineer for Raytheon Space and Airborne Systems. A member of the SAS leadership team, Del Checcolo oversees approximately 6,000 employees. He is responsible for ensuring engineering excellence for all SAS programs, enabling the business to produce the most advanced defense and information systems in the world. 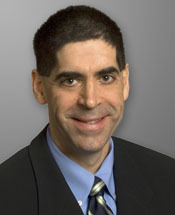 Previously, as vice president of Engineering for Raytheon Integrated Defense Systems, Del Checcolo led all engineering activities within IDS, including capture and management of technology and advanced programs; coordination of strategic architecture initiatives; continuous improvement of processes and tools; product development; and development of advanced semiconductor products. Before that, as vice president for Advanced Technology (AT) programs at IDS, Del Checcolo enabled the business’s growth by working with customers and business partners to develop, capture and execute new technology programs. Prior to AT, Del Checcolo was director of the System Validation, Test and Analysis Directorate. In this role, he led an organization of more than 1,000 people responsible for all aspects of system integration and test, including test facilities, test equipment development and test engineering. He was also the engineering lead for IDS National and Theater Security Programs. Del Checcolo has authored and presented numerous technical papers with topics ranging from Millimeter Wave Missile Seeker Antenna Design to Commercial Radar Technology. He holds more than two dozen patents and was twice the recipient of the Raytheon Excellence in Technology Award for his work on the Automotive Radar Technology program. Del Checcolo is a member of the Institute of Electrical and Electronics Engineers and was part of the steering committee for the Boston 2000 International Microwave Symposium. Del Checcolo began his Raytheon career as a co-op student supporting the Missile Guidance Lab. After graduating from Northeastern University in Boston, Mass., with a bachelor’s degree in electrical engineering, Del Checcolo joined Raytheon full time. He received his master’s degree in electrical engineering as part of the UMass Microwave Scholars program sponsored by Raytheon and the University of Massachusetts, Amherst.